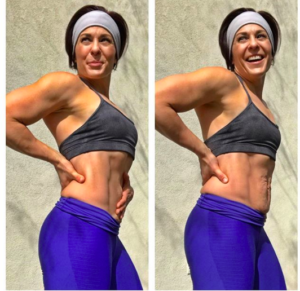 Buff Mom Reveals Post-Baby Tummy Along With Powerful Letter Every Woman Should Read. Childbirth is a miracle, but instead of viewing women who’ve just brought life into the world with wonder and amazement, we oftentimes burden them with unrealistic body expectations. We see celebrities bounce back into pre-baby shape all the time. You should be able to do it, too, right? Never mind that celebrities have nannies taking care of the kids while they hit the gym, dietitians and chefs on call, and access to cosmetic procedures. Everyday moms, however, are busy juggling babies, running errands, and heading back to the office after just a few short weeks away. But even if all moms had those resources, why should we pressure women who have just given birth to feel ashamed of how their bodies have changed? It’s a beautiful thing we should all celebrate. 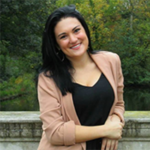 Just ask mom Ashley Nowe. 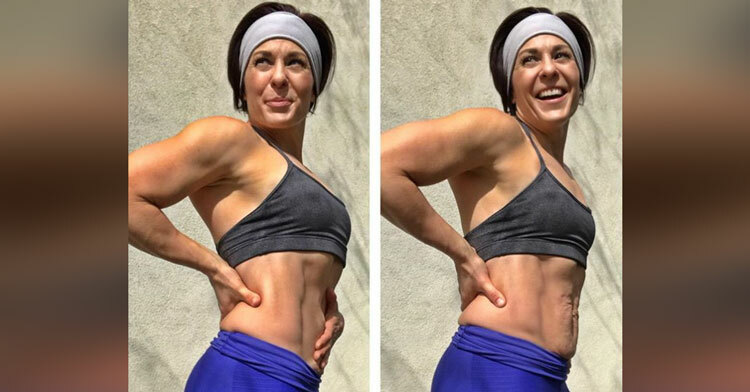 She’s gorgeous, she’s fit, and she’s a supermom. 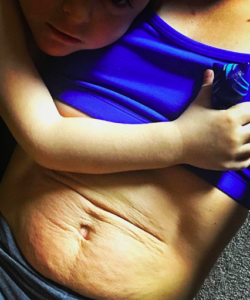 She also has loose skin on her belly and stretch marks left behind by her babies. What she does not have, however, is shame. She refuses to feel ashamed of a body that brought life into the world and she hopes that through her Get Mom Strong project, other moms will start to feel the same way. 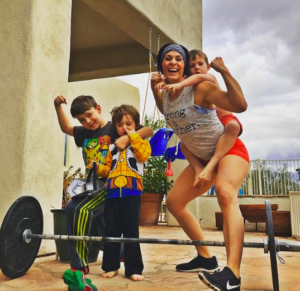 Ashley believes in getting fit not to satisfy the post-pregnancy gaze, but to realize the full potential of a mother’s strength. She believes in loving the marks your little ones leave on your body and heart forever. She addressed all of this and more in a powerful letter on Instagram that has inspired moms everywhere. We stay quiet. No one tells us about the changes that take place after we have babies. We only see the “bounce back” adorned on the cover of the magazine as we wait to buy our groceries. We stay quiet… We don’t talk about the stretch marks. We don’t talk about our loose skin. We quietly trade in the bikini for a one piece…because why would we want to offend others with the ungodly sight of our postpartum body? We stay quiet. Our culture has dictated that the “ideal” is a flat tummy and the ultimate compliment is from the stranger who says, “My goodness, you don’t even look like you’ve had a baby.” We compare ourselves to others, and ask what we did wrong to have such a flawed postpartum body. We stay quiet. What if we weren’t so quiet? 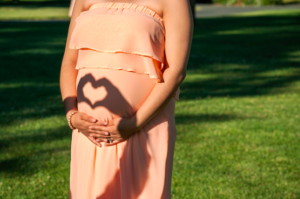 What if we knew that a part of becoming a mother meant likely having a changed body? And what if we celebrated that? What if we celebrated those stretch marks as a symbol of how strong our body was and how miraculously it housed our great loves? 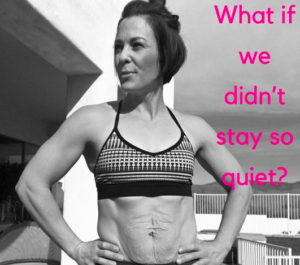 What if we TALKED about the changes that happen, so that all postpartum bodies were embraced? 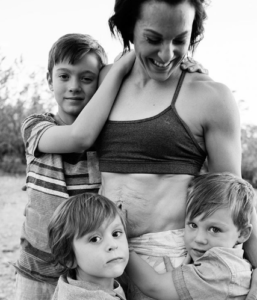 In this day and age, loving your body at any stage in the game could be considered an act of defiance, and that’s especially true for those who have given birth. It’s a radical idea Ashley thinks we should all throw ourselves behind. What if we helped women focus on how they felt instead of how they looked? What if? What if we didn’t stay so quiet? Celebrate all the amazing moms in your life and share this with them!